After nearly three decades of pioneering work, the field of robotic surgery is advancing into the next phase of development: Mainstream adoption. Its scope includes what the authors consider the “Pillars of Robotic Surgery” – urology, gynecology, general surgery, cardiac, and thoracic surgery – while also expanding on these disciplines to include otolaryngology, benign reconstructive urology, urogynecology, bariatrics, and hepatobiliary. Equally important to detailing the surgery itself, but unique to Robotic Surgery: Clinical Perceptions, Approaches and Challenges are the discussions focusing on the most recent data, the benefits and the risks associated with robotic surgery. 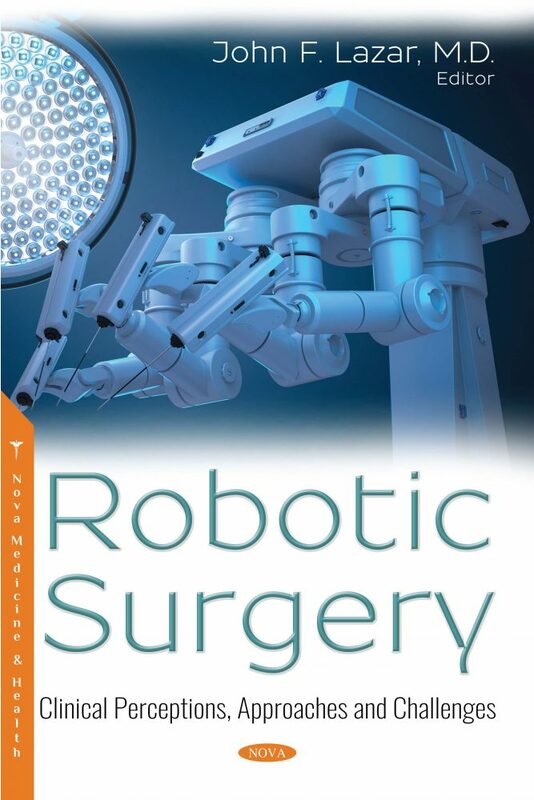 Each chapter’s authors are master surgeons within their field and their insights demonstrate why robotics has been so important to each of the surgical disciplines. Robotic surgery is at a significant intersection of technology and the ability to routinely perform high-end minimal invasive surgery. 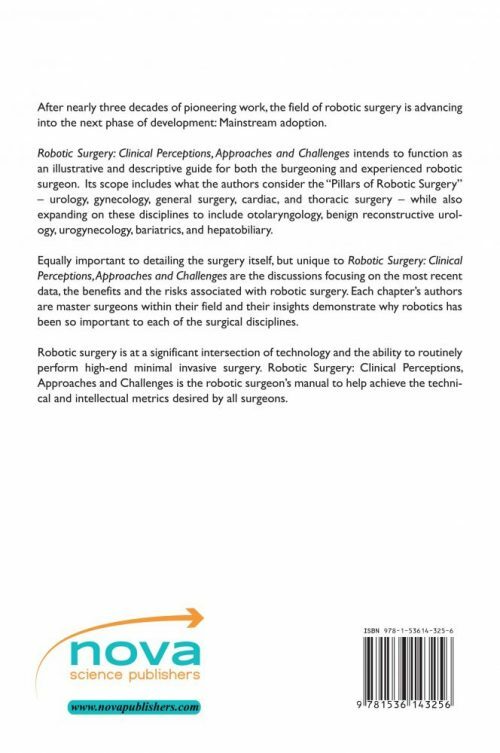 Robotic Surgery: Clinical Perceptions, Approaches and Challenges is the robotic surgeon’s manual to help achieve the technical and intellectual metrics desired by all surgeons.